Here’s a blast from the past. In 2011, when I visited the Cellars at Jasper Hill in Greensboro, Vermont, I was lucky enough to try about ten sample batches of their now very popular cheese, Harbison, a soft, bloomy rind style, wrapped in local spruce bark. I can still remember to this day the round, buttery paste of this cheese as I attempted to discern between the test batches. They were also working on aging a cheese with the neighboring Landaff Creamery. Now known to the public as Kinsman Ridge, this cheese is inspired by the natural rind, semi-soft french styles of the Savoie region. The Cellars at Jasper Hill are seven underground, vaulted caves, that ripen cheeses both from their own cheese room and neighboring cheese farms with diligence and scientific annotation, never striving for anything less than perfection. That is why I benefited so greatly from joining the Jasper Hill cheese makers onsite in the production of their other spruce bark wrapped cheese, Winnemere. During my time managing the cheese making operation at The Monteillet Fromagerie, I had never recorded flocculation, which is essentially the step between milk inoculated with cultures and rennet and final curd formation. 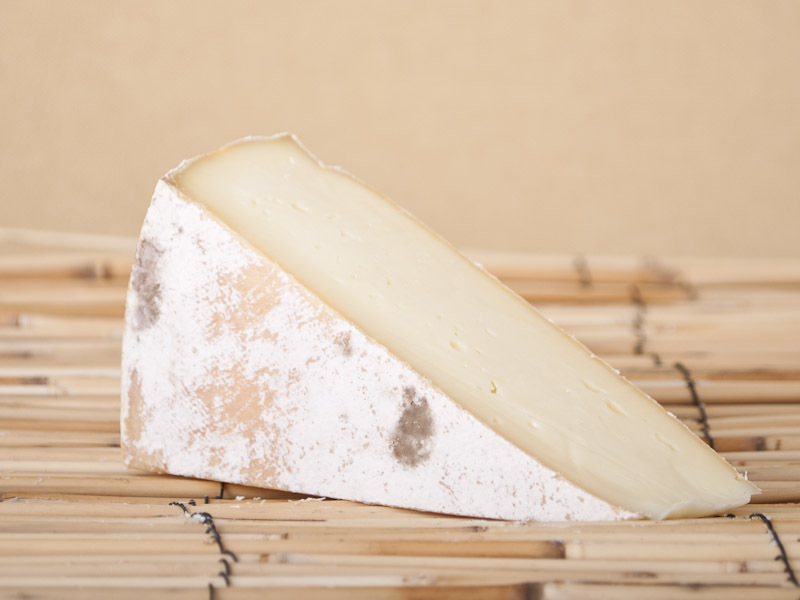 To learn more about these cheeses and the flocculation method, you can visit my article published through the Formaggio Kitchen Cambridge blog site or click the photo collage of Winnimere below. Tags: harbison, jasper hill, rennet, winnemere. Bookmark the permalink. Previous post ← Vulto Creamery. Made by One Man with Love.